Hair extensions can give you curly hair. Are you happy with the way your natural hair looks? Lucky you! If not, you may want to make changes that will better suit your sense of style. Whether you enjoy changing your hairstyle often or you want to update your look with a new trend, hair extensions may be the answer. This year, hair replacement follows several fashion styles that will allow you to create the unique and beautiful hair you’ve always wanted. Having short hair can limit how you style your hair. 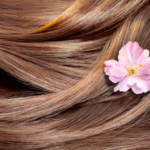 If you want to dress up your hair for a special occasion, longer hair may be a better option. If you don’t have the desire or time to grow your hair out, long hair pieces can be the perfect solution. These hair replacement pieces can lengthen your hair and give you more choices for up-dos and other styling methods that your shorter, natural hair won’t allow. The best part is you can return to your shorter hair quickly and easily by removing the extensions. Not everyone is blessed with naturally curly hair. Sometimes hair is so straight, even getting a perm doesn’t create the beautiful curls you are looking for. 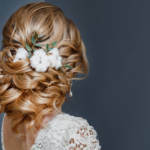 If you want to add some beautiful curls to your hairstyle, one of the easiest ways is to choose hair pieces that provide you with the look you want. Curly hair extensions come in a range of curl levels, from mildly wavy to extremely curly. The choice is yours. These hair replacement pieces come in both synthetic and natural fibers, as well as a variety of shades so you can find the one that best matches your natural hair or try a contrasting one! Another reason individuals may choose a hair extension product over their natural hair is to add a touch of color to their hairstyle. Extensions can provide a gradated look to your hair — a growing trend on the fashion scene. If you have ever seen someone with the addition of colored or bleached tips, it is likely the result of adding hair pieces to their natural hair. While some individuals may dye their hair in that ombre effect, hair extensions allow you to add this touch of color on a temporary basis. You can choose to remove them at any time. Thanks to the escalating hair extension trends this year, modernizing your hairstyle can be as simple as adding hair extensions to your natural hair. These temporary hair replacement pieces can provide you with an entirely new look without having to make more permanent changes to your hair. You can quickly and easily return to your original hairstyle. The use of hair pieces is no longer only for the rich and elite or those who are having serious issues with their natural hair. They are now a great option for anyone who wants a new, updated look. Contact us for more information on the right hair care products for your extensions. RemySoft Pro Haircare is sulfate and paraben free and enriched with conditioning agents to soften, protect, and prevent tangling in human hair, wigs, and extensions.